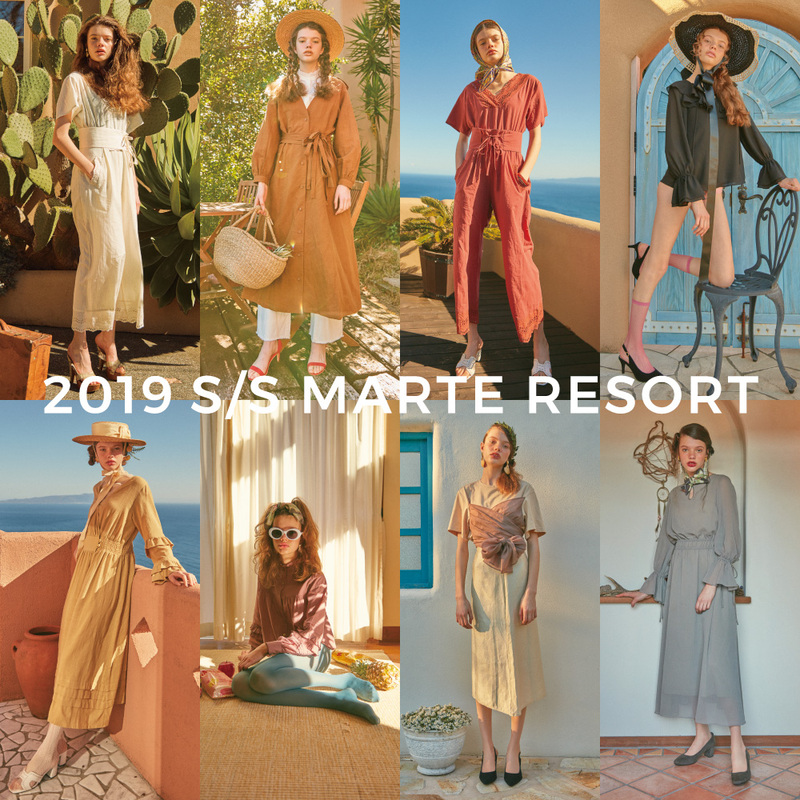 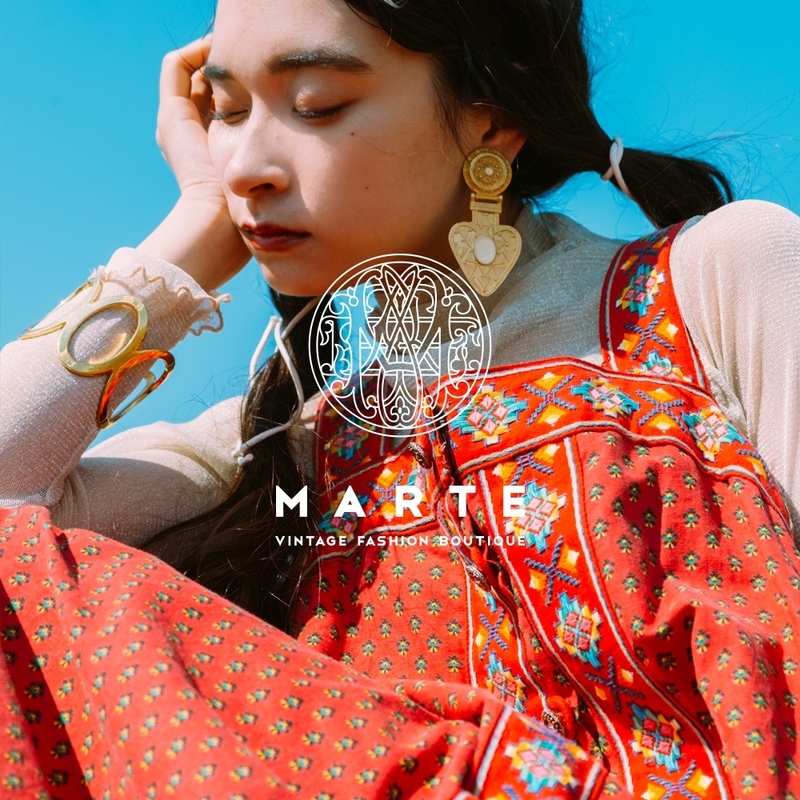 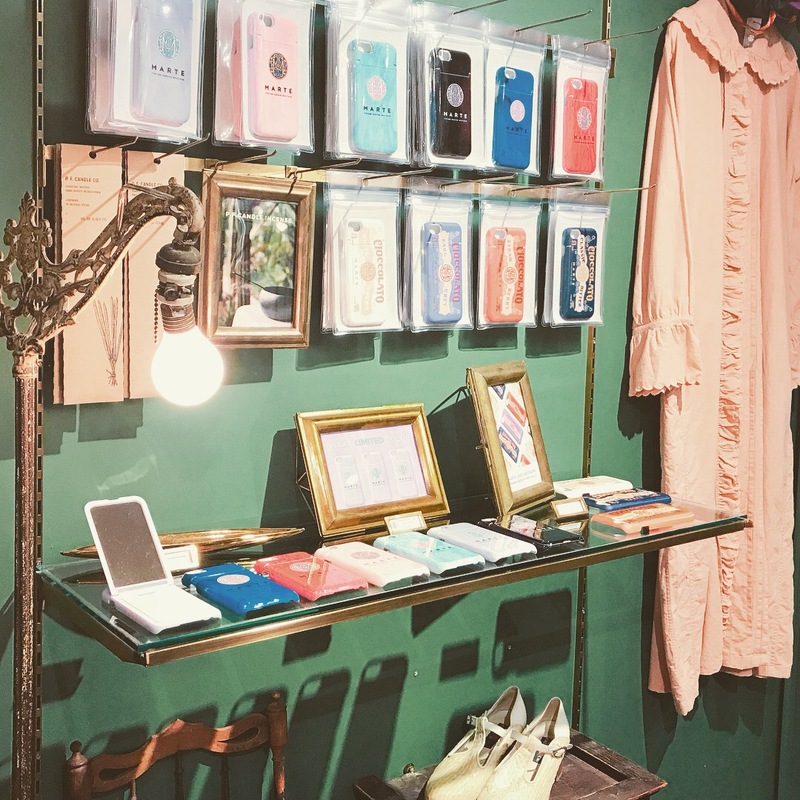 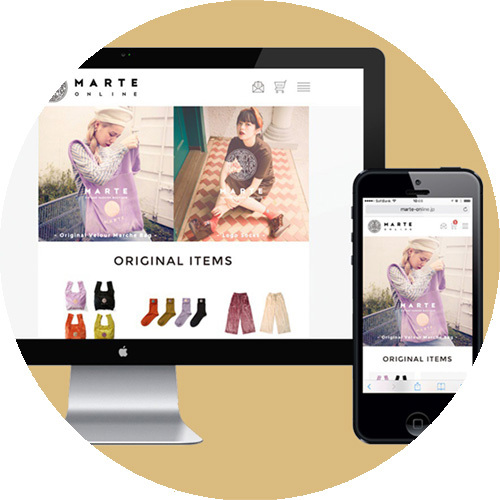 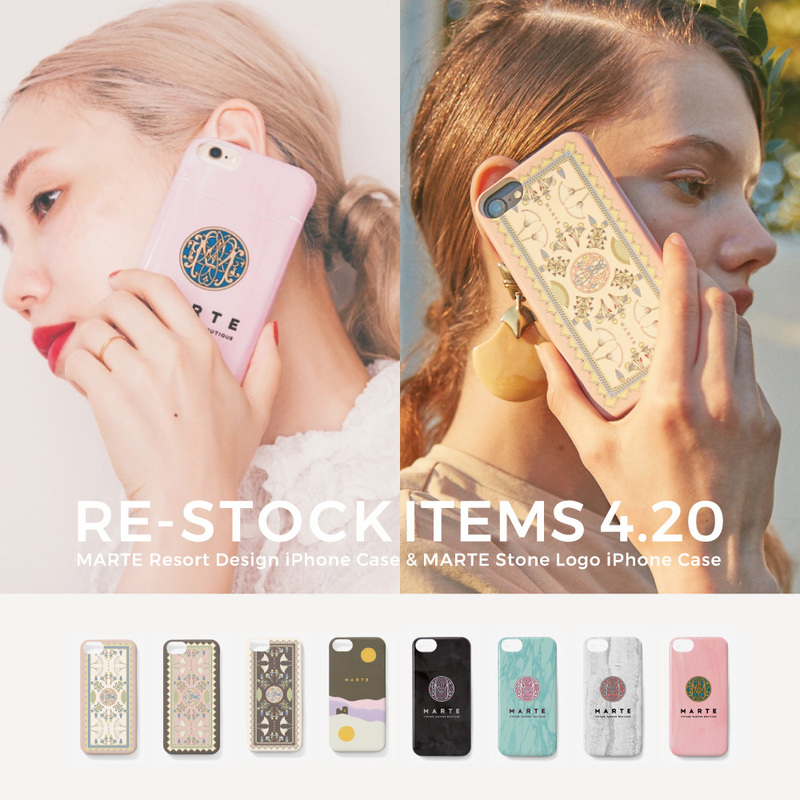 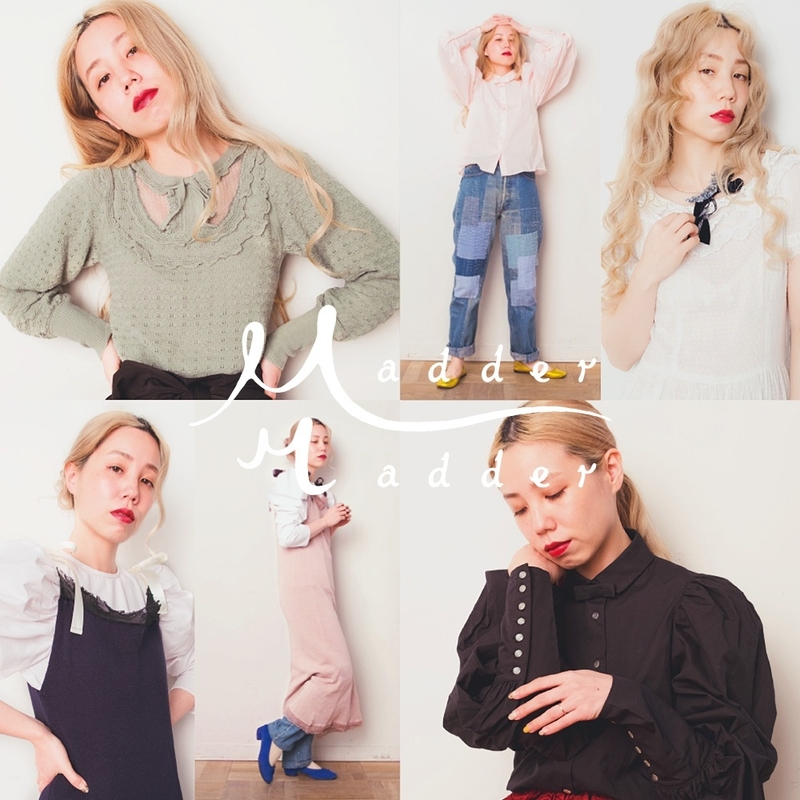 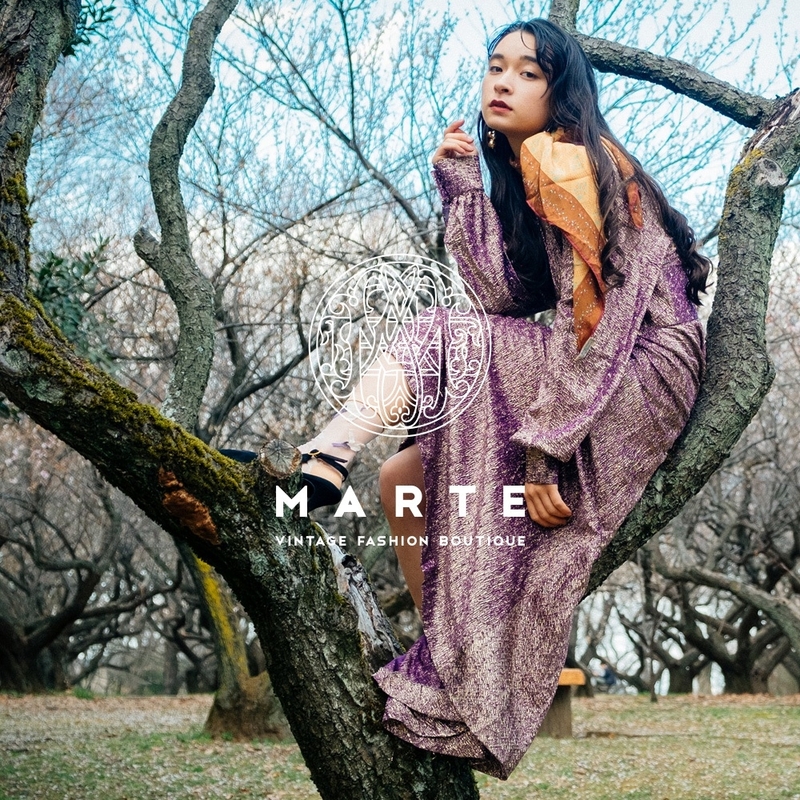 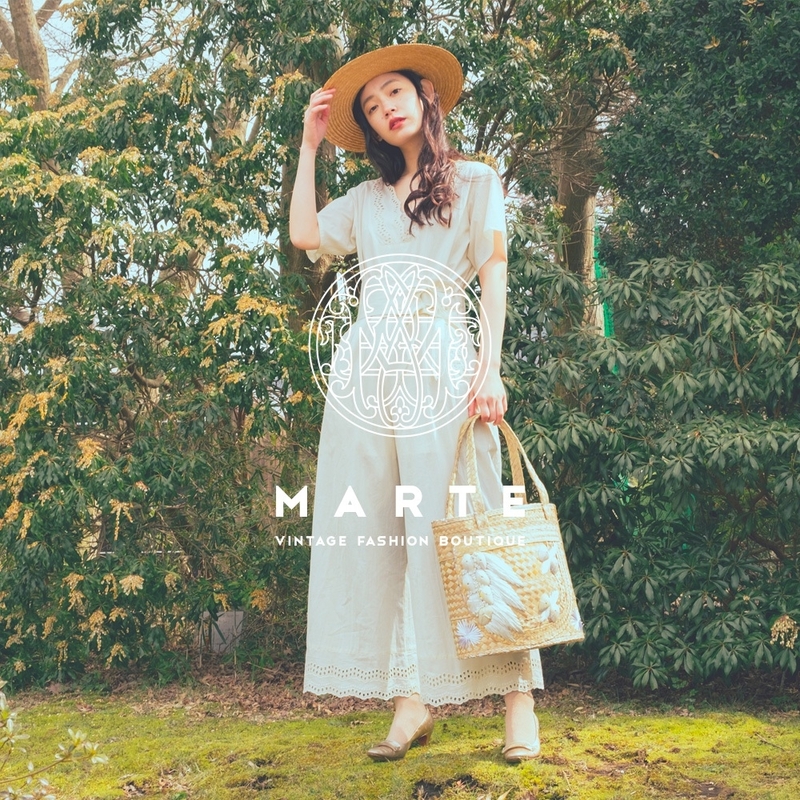 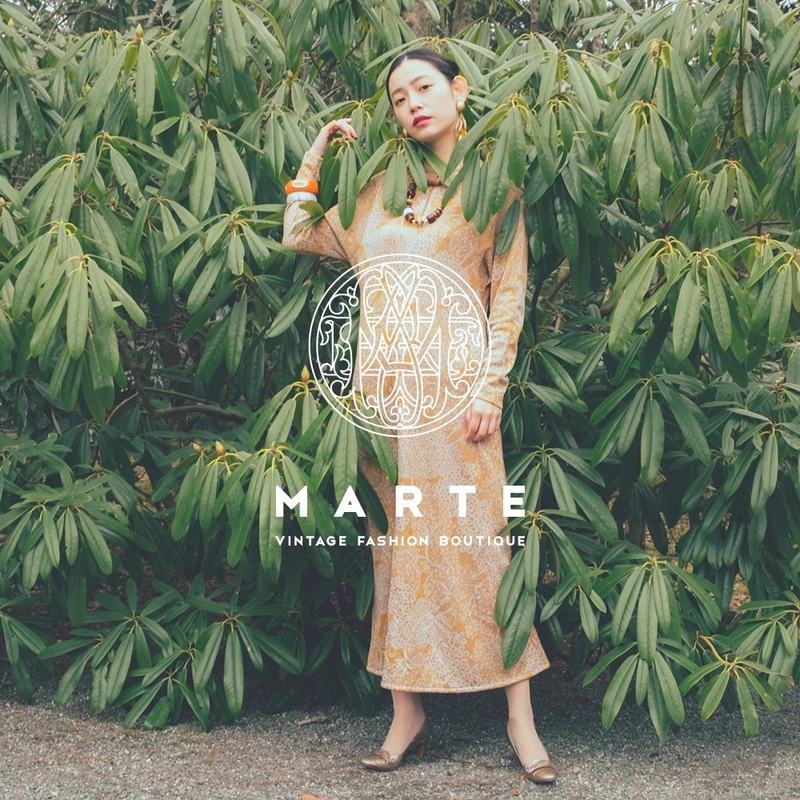 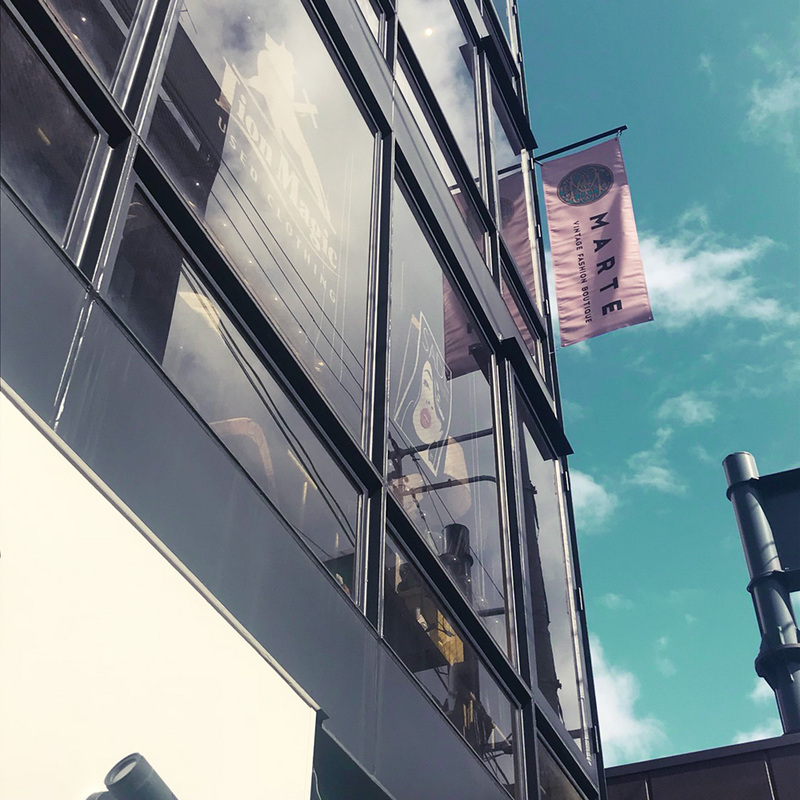 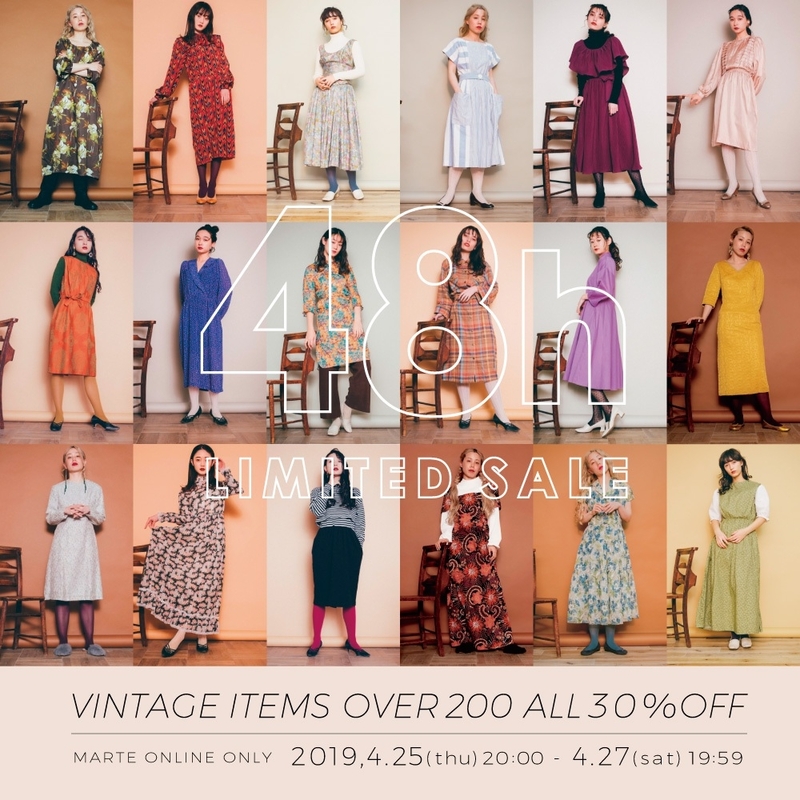 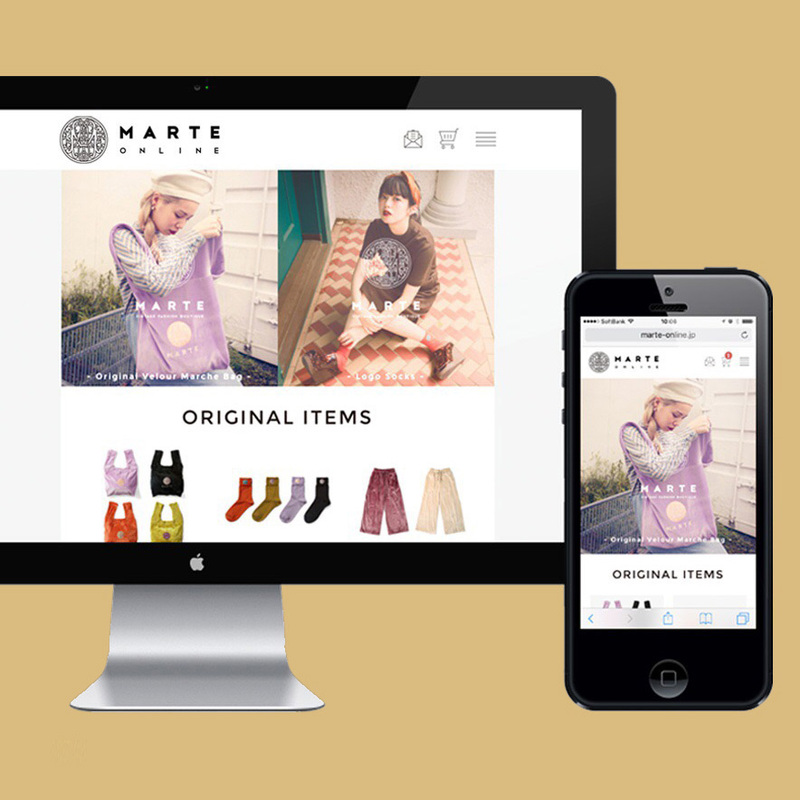 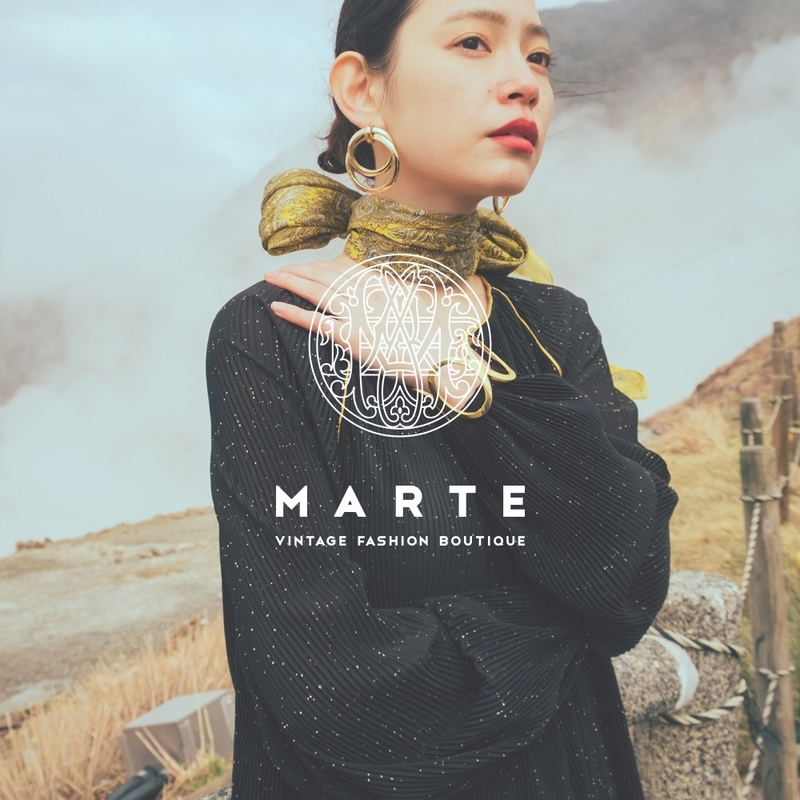 MARTE is a vintage fashion boutique that sells ladies’ clothing from the 1900s-1980s, items selected by renowned buyers, and MARTE original goods. 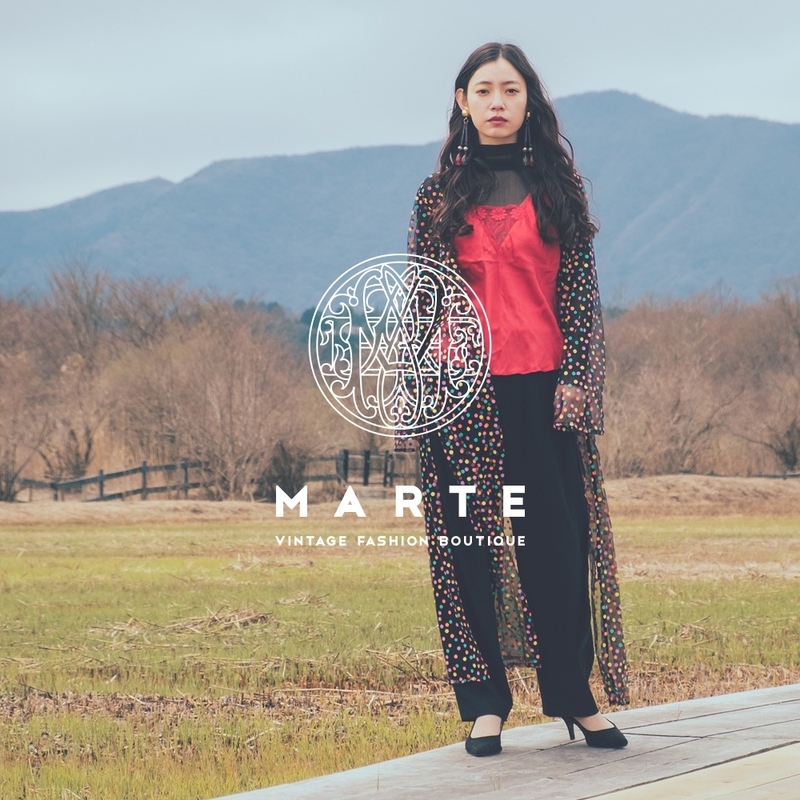 These buyers opened the first MARTE shop on Cat Street in Harajuku in a collaboration with a creative studio, on the 30th April, 2016. 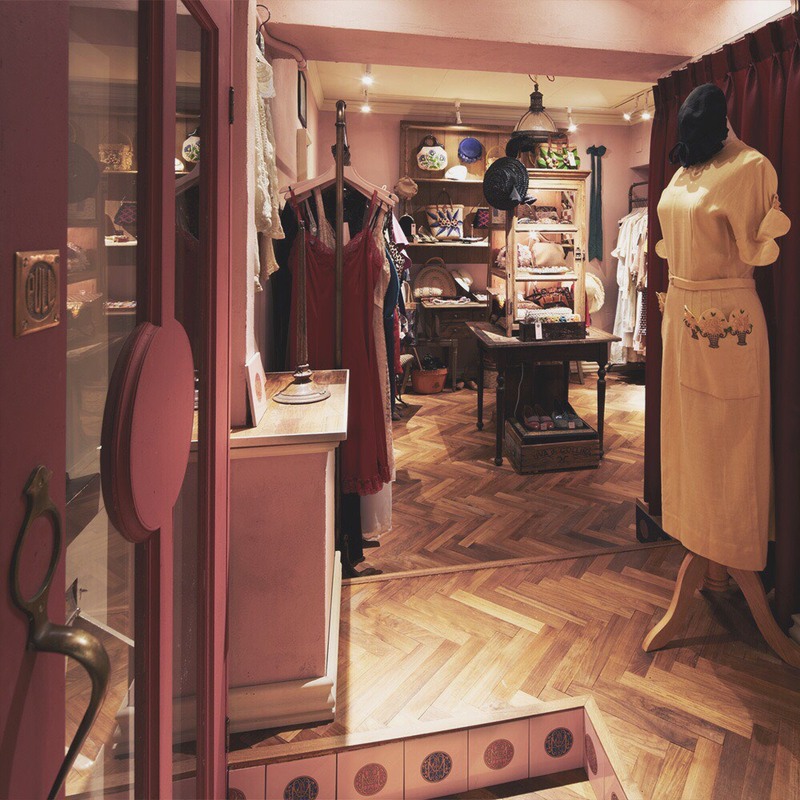 They visit the US, Europe and Asia independently to find the best vintage collections from the early to late 1900s. 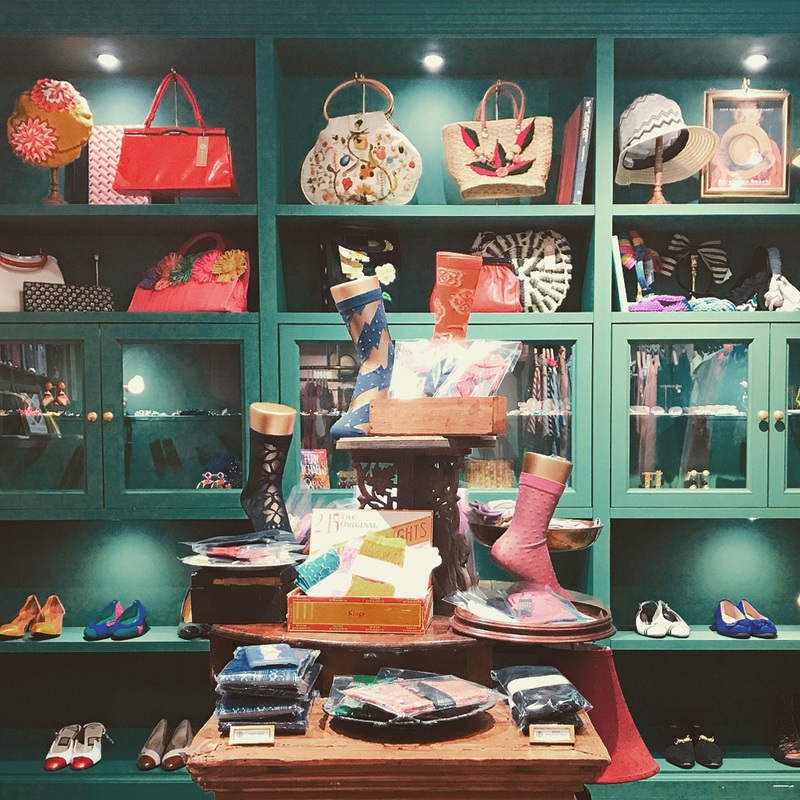 We would like every customer to enjoy a new sensation through the value and charm of our authentic, one-of-a-kind products. 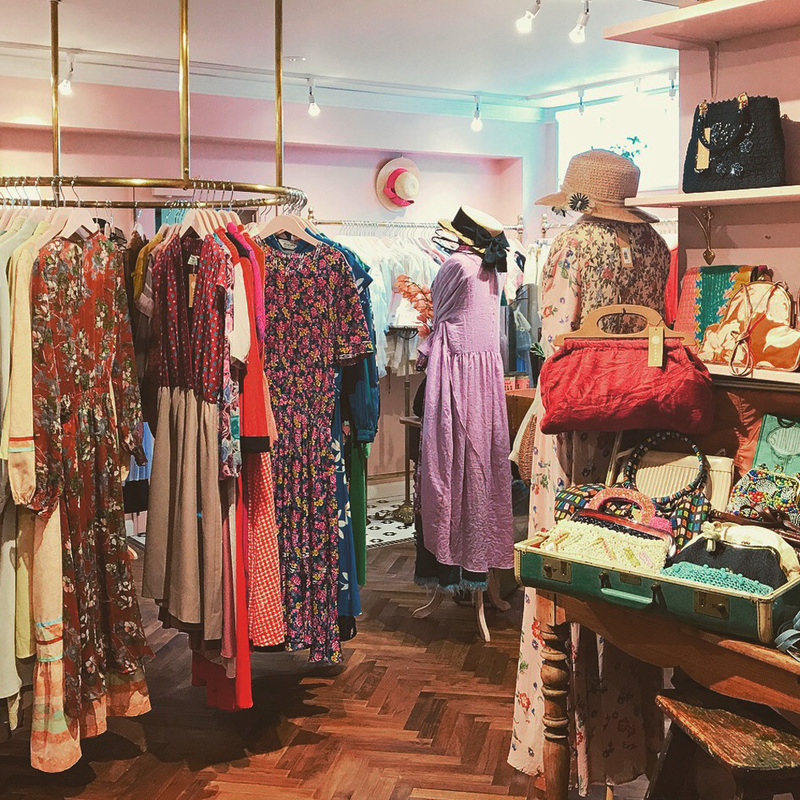 Our aim is to deliver our customers an unforgettable experience in our shop environment and through our service, so that they will feel welcome and inspired whenever they return. 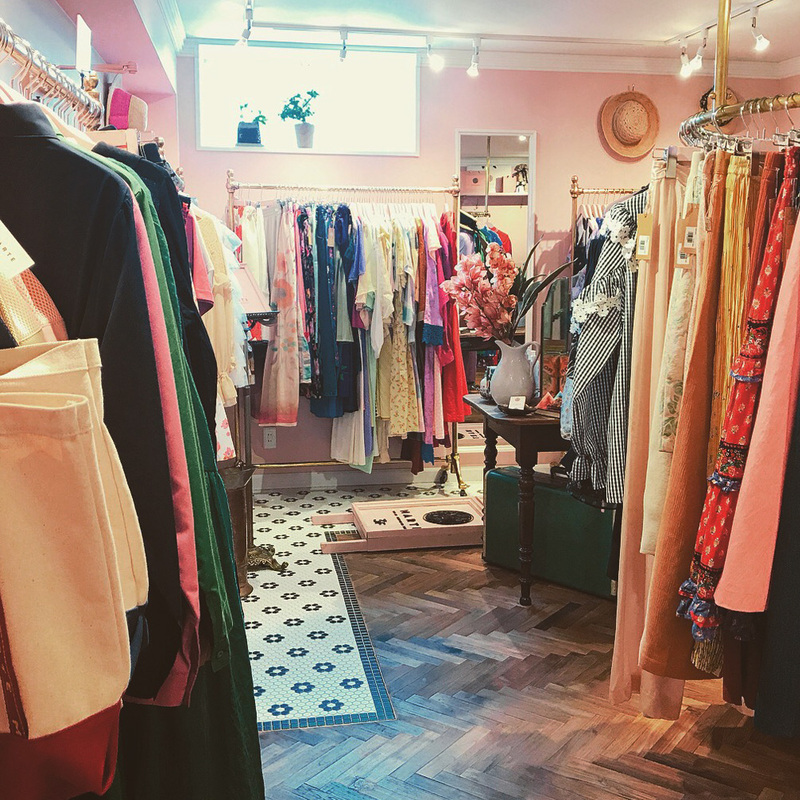 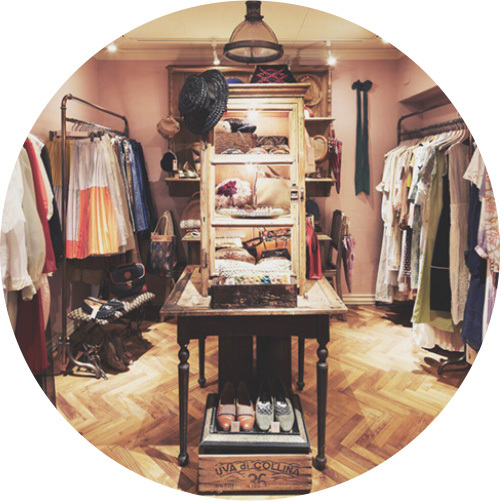 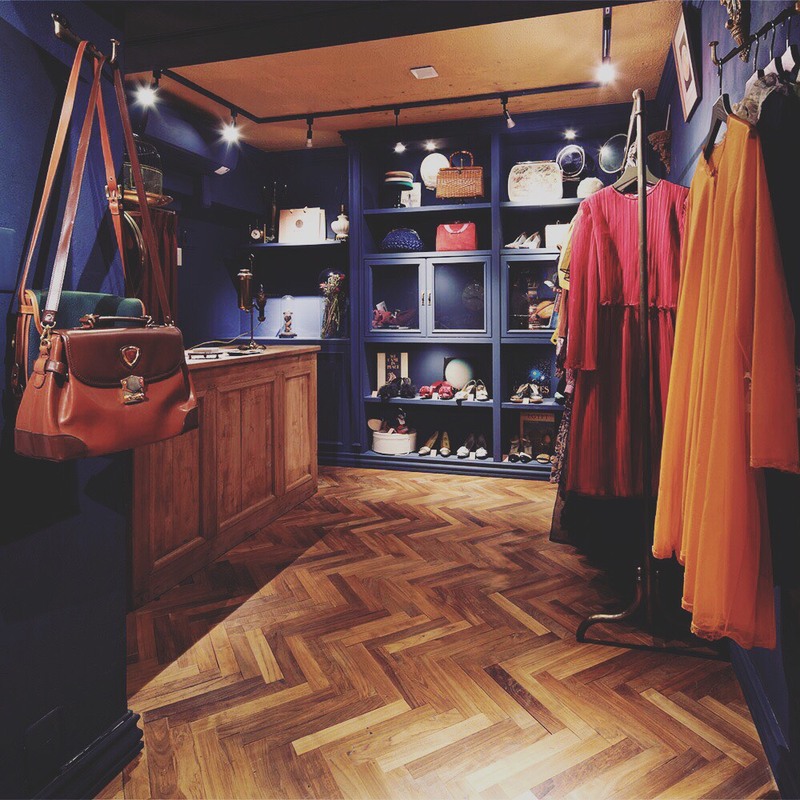 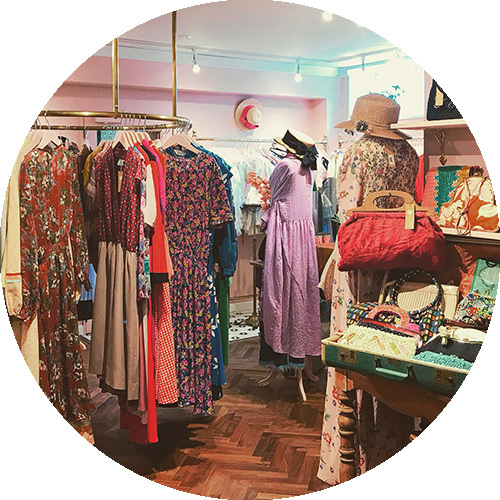 The vintage shops, those that deal with one-off products, have characters highly influenced by their buyers’ tastes and shopping routes. 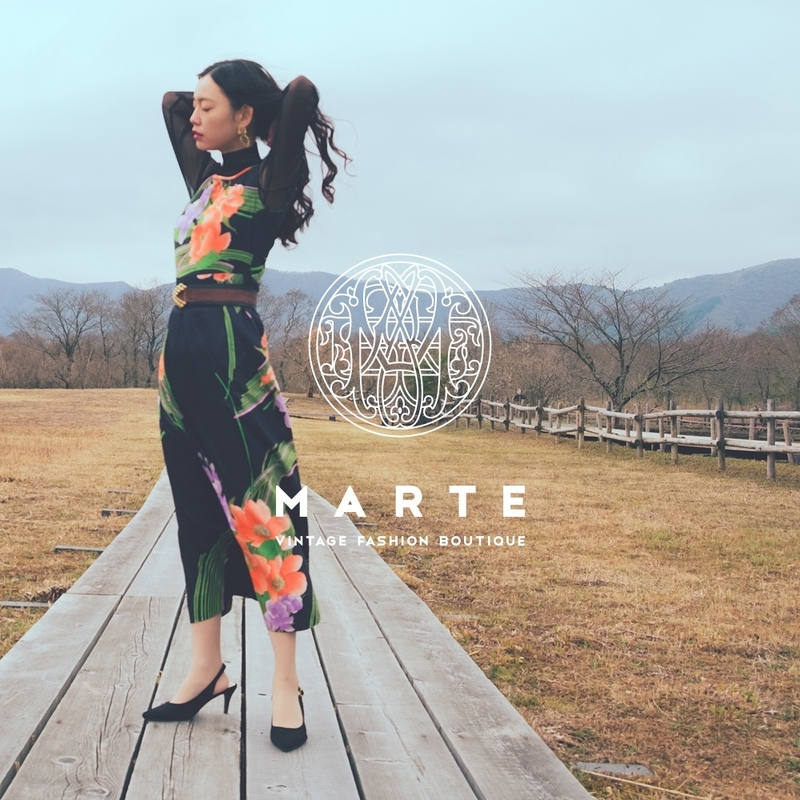 The buyers in MARTE travel to the US, Europe and Asia independently and select the products one by one. 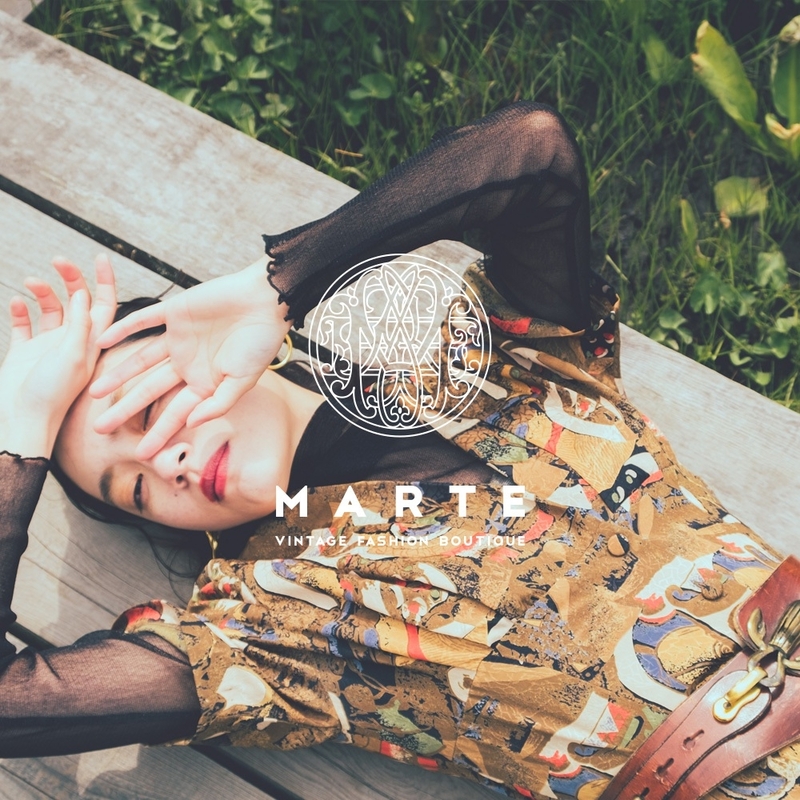 We believe that our attractive vintage clothes transcend trends so that you can wear them throughout your life. 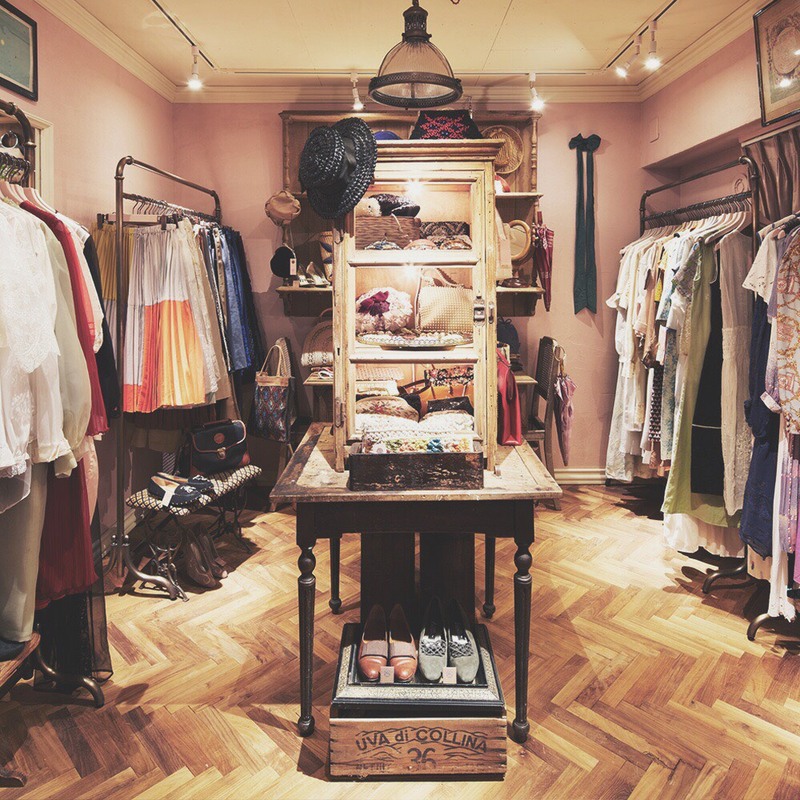 We select these ageless products and try to make the shop enchanting, even if you are just looking.